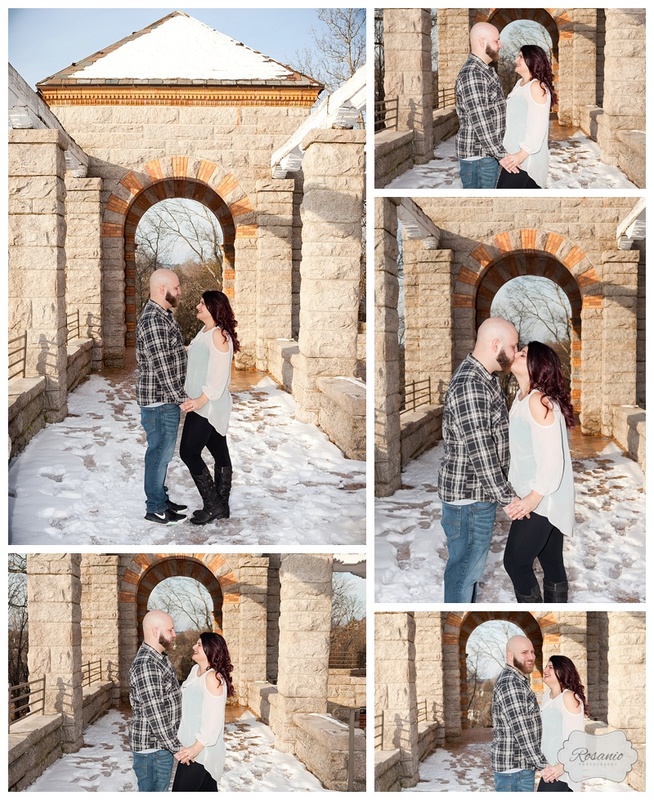 Amanda & Connor did their engagement session with us a few months ago, but since today feels like January I figured it was the perfect opportunity to share their photos. I struggled with how to title this blog because this session was SO MUCH MORE than just an engagement session! It was a engagement session, a family session, and a pregnancy reveal all wrapped up into one adorable package! I have known Amanda since we bought our home 5 years ago because she lives in our backyard. Not in the homeless vagrant kind of way, but she lives in the house behind mine...so I also live in her backyard. We have passed our kids over the fence to play, left prizes on the fence, coffee when we ran out, and shared so much fun and laughter while our sons played together. Amanda & Connor met in elementary school and reconnected on Match.com. Their whirlwind romance culminated on Christmas Day when Connor got down on one knee and proposed in front of Amanda's whole family. Luckily it was caught on video and was so sweet to watch! When he proposed he told Amanda "I would be honored if you'd be my wife", but before too many tears were shed Amanda's son Jameson was there to make everyone laugh by yelling "You're married!". "We loved it and had so much fun!!!! Beautiful job and such a great experience working with professionals." And of course their favorite photos were of all them together as a growing family! 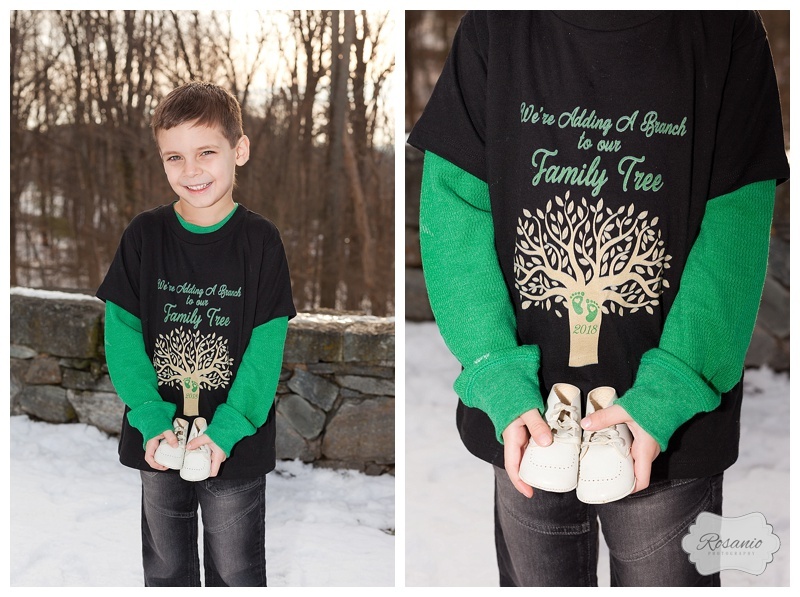 Jameson had a custom shirt on announcing "We're adding another branch to our family tree" and held vintage baby shoes that have been passed down in her family. Amanda looked as gorgeous as ever, with a little help from her sister Shauna Samra who is a an amazing Hair/Makeup Artist at Salon Beau in Andover. Amanda, sadly, no longer lives in my backyard as she recently moved away with Jameson and Connor. We couldn't be happier for all the changes happening in their lives. 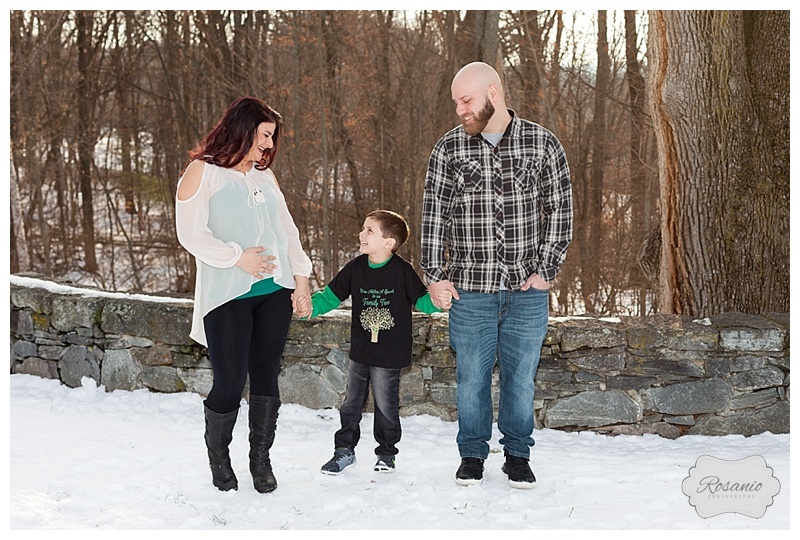 We are looking forward to capturing their June wedding and even more excited to be meeting their baby boy in just a few short months! Jameson is going to be the best Big Brother! To learn how you can schedule your complimentary engagement session and have us capture your wedding click the link below to chat!